This month saw location tests in Japan for the widely awaited Street Fighter V. Taking place over October 5 and 7 in Tokyo, Osaka, Nagoya and Fukouka the testing created further hype for the upcoming release date in early 2019. 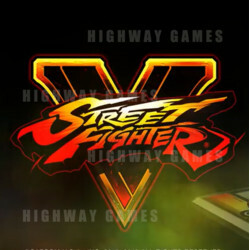 The Street Fighter V arcade machine will be based on the current Street Fighter V: Arcade Edition and will also give players the option to bring their own hand controllers to the game. Street Fighter V has not been available in an arcade version until now, previously only being playable on PlayStation 4 and PC. The new game will include 8 buttons, two modes (CPU VS and training), timed training mode and a bonus car stage. An exact release date has not yet been announced but the game is expected in the next few months.